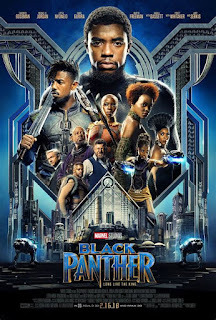 The Marvel Universe has often plodded through a predictable chain of movies, but in comes the newest addition, Black Panther – a triumphant wake-up call to the primarily white-casting of the superhero genre. It marks a step in the right direction for Marvel, right off their more playful and thoughtful efforts with ambitious filmmakers, such as Taika Waititi in 2017's Thor: Ragnorok. 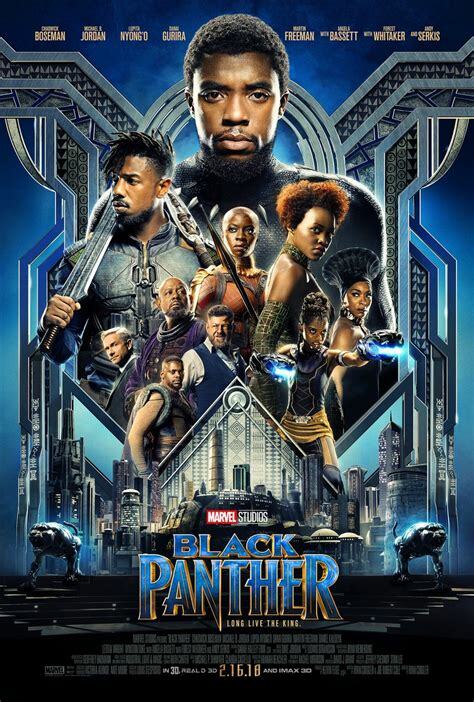 This time, there's a more serious approach at play, and director Ryan Coogler confidently takes the reins with a wholehearted embrace of African cultures and experiences, and empowers his protagonists with agency and a unique story. Black Panther places T'Challa (Chadwick Boseman) as the newly-appointed King of the African nation, Wakanda, following his father's death. As King, T'Challa is given the powers of Black Panther, deriving from the alien metal vibranium. This special metal is engineered into the entire country, providing them with ultra-modern advanced technologies which enables the population to power their cities – that not even “progressive” Western first-world countries could imagine. This is a vision of Afro-futurism in its sheer beauty. The scale of Coogler's invention onto the Marvel stage derives not only from the epic landscape and technological wonder of Wakanda, but his meticulous attention to detail. He focuses on the smallest elements which evoke a sense of identity to the Wakandan people – down to the intricacies of African dress, rituals and music (the heavily-percussive and vocal score by composer Kendrick Lemar stands out); it ultimately fuels a prideful connection to a culture that we are rarely gifted the chance of seeing on our screen in such magnitudes. And there are some fantastically crafted sequences that come from this total encompassing image of diversity, crafted by Rachel Morrison (she is the first female Oscar-nominated cinematographer). The action sequences are shot with rapid intensity, and in particular – a casino scene stands out in its fluidity, through its use of tracking shots. Here, the female protagonists, Nikia (Lupita Nyong’o) and Okoye (Danai Gurira) , are empowered through their fierce movements – the framing and focus of the story becoming integral to fully owning their characters as T’Challa’s true allies and warriors. Shuri (Letitita Wright), T’Challa’s younger sister, is also a nice addition to his circle – whose innovation and intelligence powers the use of vibranium in astonishingly new ways. The story's antagonist is Erik Killmonger (played by the always reliable Michael B. Jordan), although Klaw (Andy Serkis) sets the stones for the brooding villain to step his feet into Wakanda. But in this Marvel story, T’Challa’s sole dilemma is made more complex: it doesn’t derive purely from a need to defeat a villain, he also faces the challenge of living up to his Father’s legacy and questioning whether change is necessary. Killmonger is one of the more interesting villains Marvel has created, and Coogler actively attempts to reflect the underlying social and racial problems of America through his character. By incorporating the African-American experience, there's a bitter anger that dictates Killmonger’s actions; the exclusivity of vibranium means that those marginalised in other societies cannot access it. But while the contextual settings hands him over the perfect justification for his acts, Killmonger is quickly tossed to the side as a one-note villain (a Marvel trope) in the third act – where his actions become tyrannical, and his unreasonable abuse of power makes his personality lose nuance and authenticity. Still, with Black Panther – Coogler has presented us with a section of the Marvel universe that reduces its white characters into supporting roles and instead, elevates its black protagonists on a platform which enables them to fight for their beliefs and their cultures. And for that ground-breaking act, it is most likely the best Marvel film yet.